Nortech, UK specialists in long-range identification solutions, will be launching and providing live demonstrations of Nedap’s next generation of ANPR (Automatic Number Plate Recognition) camera at this year’s Parkex. The ANPR Access V2 short-range keeps up with the rapid growing demand for effective number-plate reading. It is purposely designed for vehicle access control applications whilst ensuring customers benefit from the latest developments in ANPR technology. The ANPR Access V2 has also been selected by the Parkex 2019 panel of industry experts as one of 10 prime examples of cutting-edge innovations that have emerged within the market in the last 12 months. In a relatively short period of time, number-plate recognition technology for vehicle access control has become very popular. Nedap’s ANPR cameras identify vehicles by capturing their number plates, making it the perfect solution for applications where it is undesirable or not possible to issue (RFID) tags. It is ideal in situations where vehicles need to be granted continual or temporary access to a site such as in employee or visitor parking applications. The ANPR Access V2 supersedes Nedap’s ANPR Access offering better performance, power over Ethernet, built in Wiegand modes and it now has 28 European libraries preloaded by default. Furthermore, it is still fully backwards compatible with existing installations. 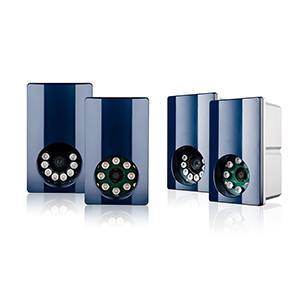 This new camera can also easily integrate with any third party security, parking and traffic management systems by accessing the built-in Wiegand options. Visit Nortech at Parkex 2019 on 2-4 April at Birmingham’s NEC to find out more about the many systems available and how they can benefit the future of people and vehicle control solutions.